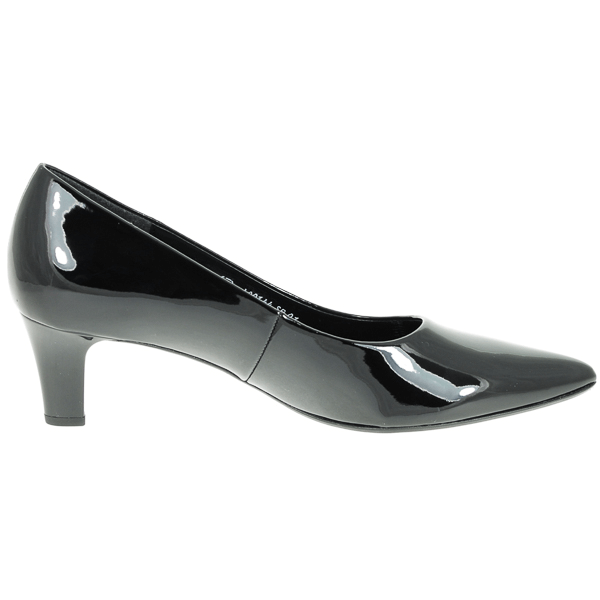 Gabor’s classic and elegant pump is a comfortable, wardrobe staple. 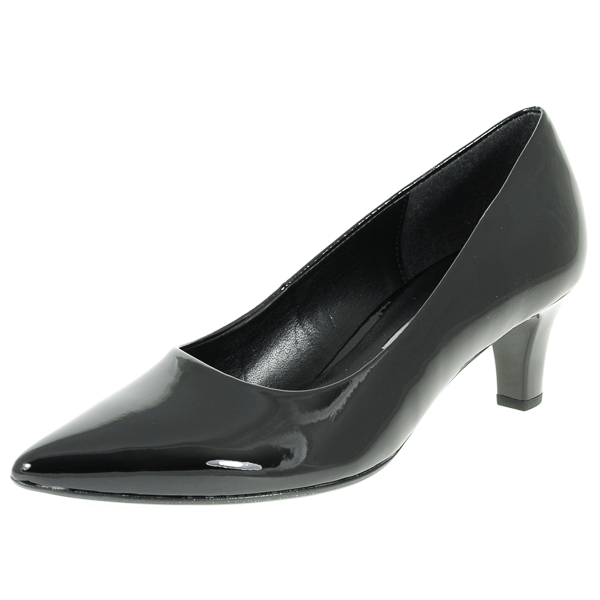 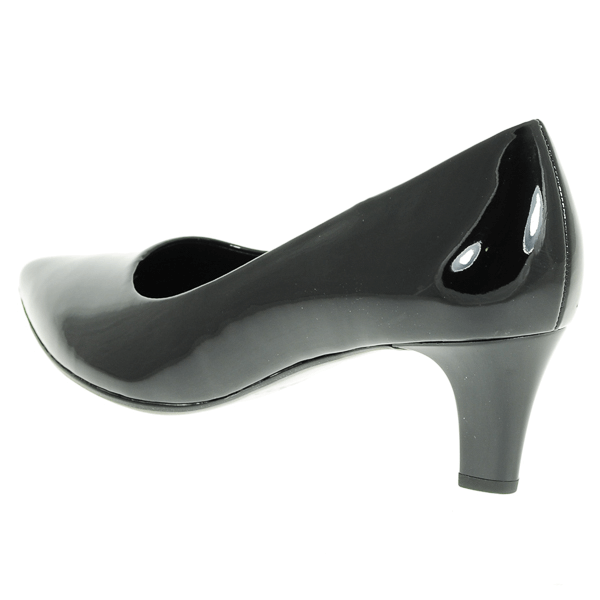 Patent black in colour with a pointed toe and low 5cm heel. 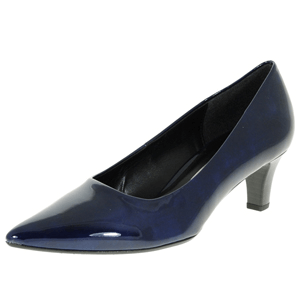 Comfortable and versatile, it’s perfect for business or any occasion.